Located just seven miles inland of the Pacific Ocean in northern San Diego County, the City of Vista, Calif. spans approximately 19 square miles and contains a population of 101,797. The 18-person wastewater division is in charge of inspecting and maintaining 316 miles of sewer infrastructure. The City of Vista’s Sewer Division is amongst the top of its class, and it has won many awards and accolades from the California Water Association, including 2nd-place in the Best Medium-sized System category (2011) and Collection System Person of the Year (2014). It also has the numbers to prove that it’s one of the most effective and proactive wastewater management programs in the country. In fact, its sanitary sewer overflow (SSO) ratio is less than 1%, while the average nationwide is over 5%. In 2015, the City of Vista started the planning and implementation of a sewer asset management program. Prior to the development of this program the City televised its system and then sent data to an outside partner for analysis to develop a 5-year CIP program. However, the City was still unable to use that data to develop an operations and maintenance program. “We knew that we had a goldmine of data that could provide valuable insight on our operations and maintenance,” says Chris Dzwigalski, City of Vista’s Wastewater Operations Supervisor. “We were basically making decisions on the fly, without any true analysis of where our efforts were most needed. 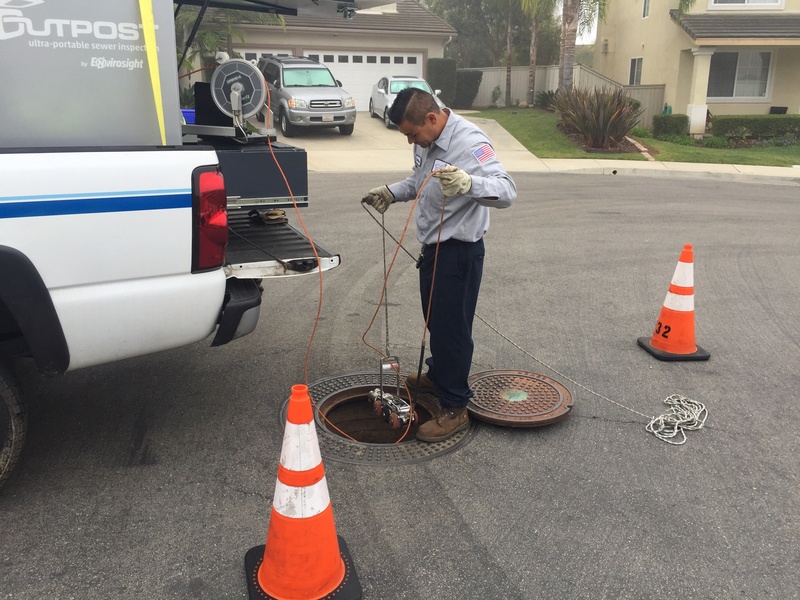 We needed a program in place in order to stay ahead.” Since implementing the sewer asset management system the City of Vista has been able to focus resources on the highest risk issues. Having an achievable plan, an engaged staff and effective tools are all essential to implementing a sewer asset management plan. 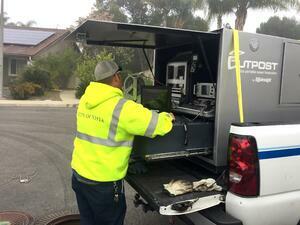 The City of Vista has relied on Envirosight’s equipment to inspect their sewer infrastructure for a long time. They own a sewer inspection truck, two Supervision sewer inspection crawlers to inspect pipes, four Jetscan video nozzles to assess pipes post-cleaning, a few Quickview airHD zoom cameras to quickly assess manholes and a Verisight push camera for inspecting problematic laterals. “All of our equipment works together to create the data we need to make strategic decisions. Envirosight’s equipment has been nothing but dependable and adaptable. Our operators enjoy using it because it is very manageable and user-friendly, and its profile and weight make it easy to use out in the field. “Incorporating an asset management program into our master planning has helped us balance our workload in terms of service, cost and risk,” says Dzwigalski. 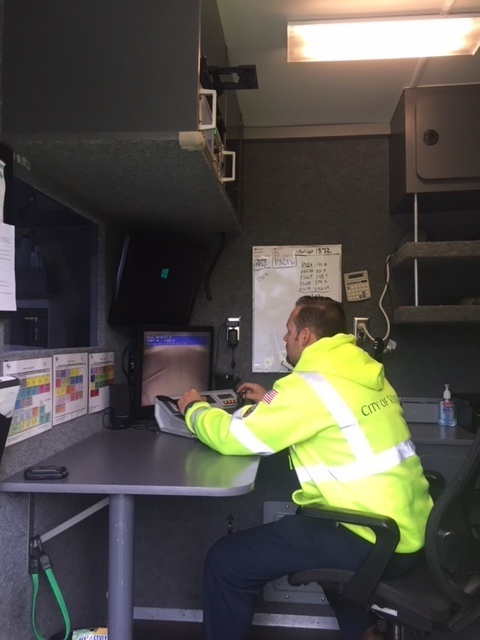 “We take all the data our sewer inspection equipment collects and import into a custom-built software solution to get data-driven decisions.” Vista has shifted from inspecting its whole infrastructure on an unattainable 5-year cycle to a data-driven 5-10-15 year program. Prior to the 5-10-15 year program the City was inspecting and cleaning 200,000 ft of pipe a year. This change has not only resulted in significant cost savings but also allows the City of Vista staff to focus on CIP projects and other operations and maintenance issues that used to fall by the wayside. The importance of strategic sewer asset management plans will continue to grow as infrastructure ages. As municipalities prepare for the future they are taking a look inward to ensure they are making the best use of the data they are collecting. 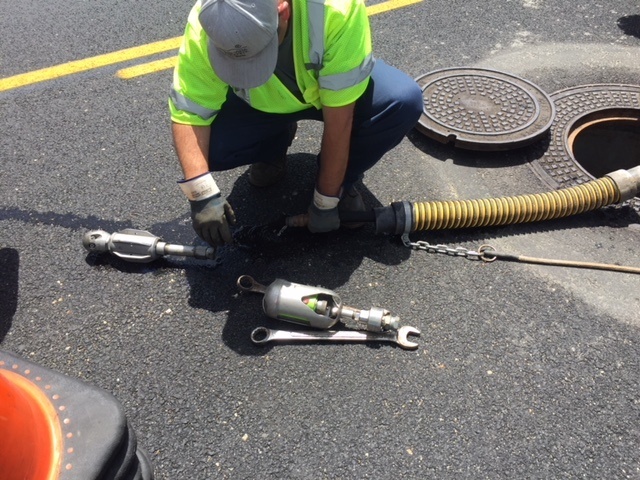 The City of Vista’s Sewer Asset Management Plan has been able to improve asset management efforts across the board—from a more attainable sewer inspection plan, to complete identification of attributes using GIS, to prioritization of maintenance, to cost reductions on capital improvement plans, to a more engaged crew and more.